A gay penguin couple "kidnapped" a chick at Denmark’s Odense Zoo while the baby’s parents went for a swim, according to a zookeeper. 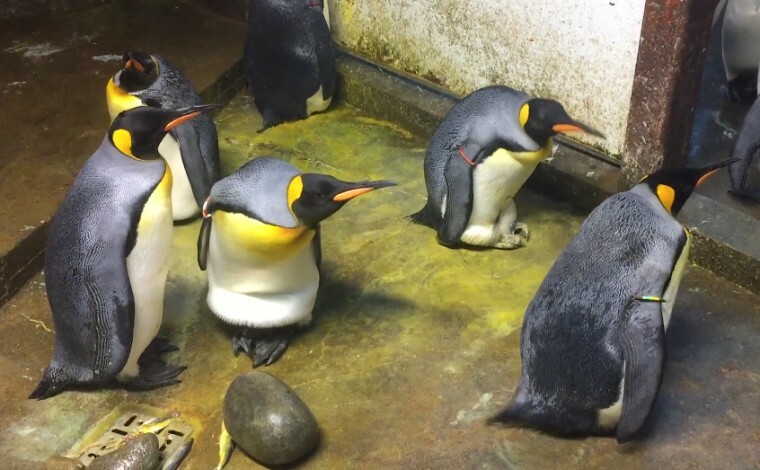 The zookeeper, Sandie Hedgegard Munck, said the gay penguins wanted to be parents and likely thought the chick’s mom and dad were being neglectful, according to Denmark broadcaster DR.
"The parents disappeared, and the kid was simply kidnapped," Munck said, noting she thinks the negligence was on the part of the father in the straight penguin couple. "I know that the female is very caring for the kid, and she is also very aggressive to us animal lovers if we get too close to the chick," Munck explained in Danish. "I think the female had been out to get her bath, and then it had been the male's turn to care for the kid. He may have then left, and then the [gay] couple had thought, 'It's a pity, we'll take it.'" The zoo was reportedly going to let the gay penguins keep the baby if the parents did not come looking for it but, after a day, they eventually confronted the gay couple, and the baby was returned to its biological parents. The penguin "fight" was caught on camera and posted to Facebook by the Odense Zoo. After observing the caring nature of the gay couple, Munck told DR, she decided to give them a second chance at parenthood. She gave the two male penguins an egg from a female penguin who would not be able to take care of it. This is not the first time gay penguins have made the news. Back in 2004 — in an article titled "Love That Dare Not Squeak Its Name" — The New York Times published an article about Roy and Silo, a couple who began their relationship in 1998 at New York’s Central Park Zoo. The zoo’s staff observed the male penguins engaged in mating rituals, including entwining their necks and sharing mating calls with each other. The pair were also observed trying to hatch a rock as if it were an egg, which led the zoo to give the couple their own egg, which successfully hatched and was named "Tango." Their story was made into a children’s book in 2005 titled "And Tango Makes Three."